Yesterday, at the Newseum in Washington, DC, FCC Chairman Ajit Pai outlined his vision for the future of Internet regulation, including a plan to undo "Title II." In 2015, Pai's predecessor, Tom Wheeler, reclassified broadband Internet as a "common carrier" service under Title II of the 1934 Communications Act. Net neutrality activists say that public utility regulations are necessary to have a free and open Internet. Critics of Title II, including Pai, argue that the rules are outdated and depress investment and innovation. Does the answer lie somewhere in between? What role might Congress and the Supreme Court play? 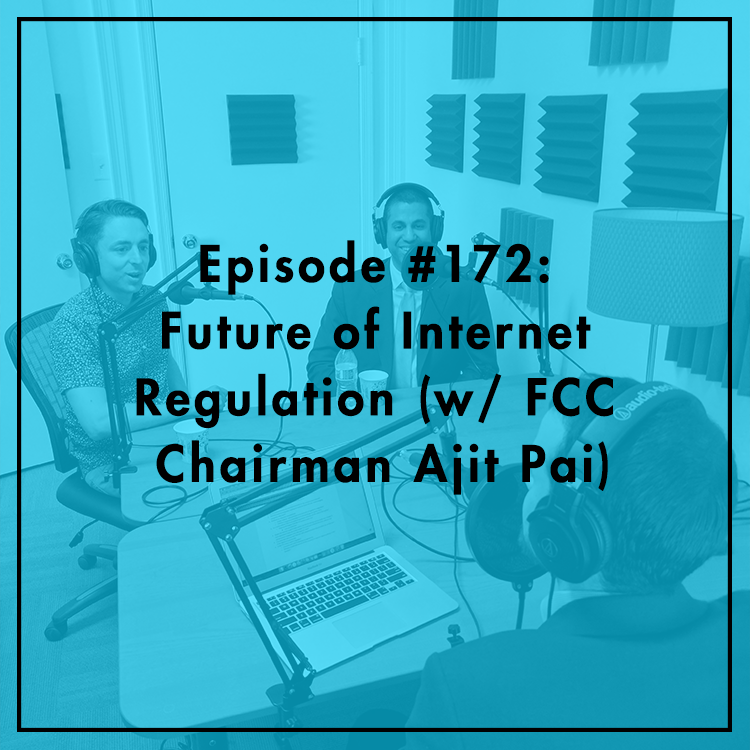 Evan and Berin discuss all that and more with Chairman Pai.